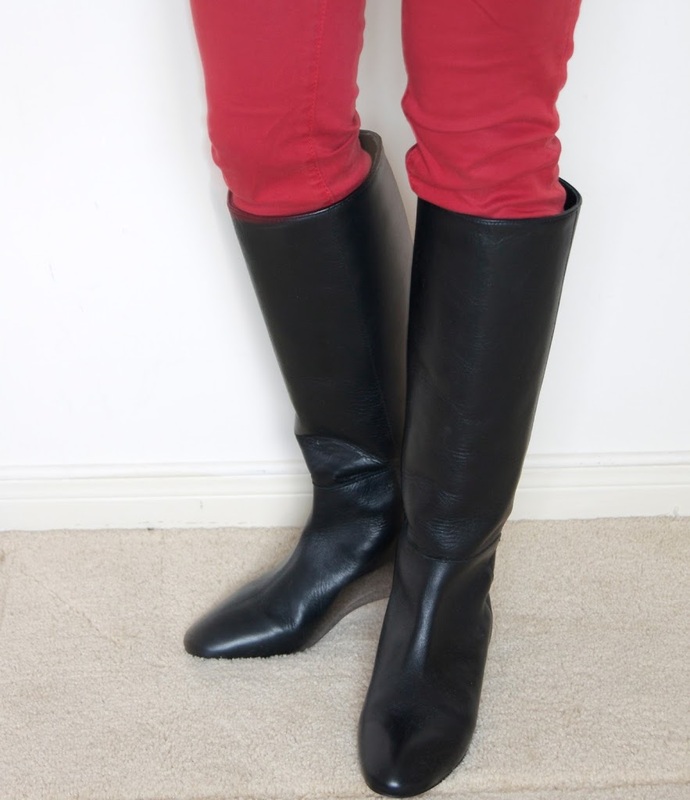 If you have extremely narrow calves like I do, you know that finding well-fitting knee-high boots is one of the biggest wardrobe challenges. I’m constantly on the hunt for boots with a narrow-circumference, but unless you are ready to “invest” in an expensive pair, they can be extremely hard to come by. 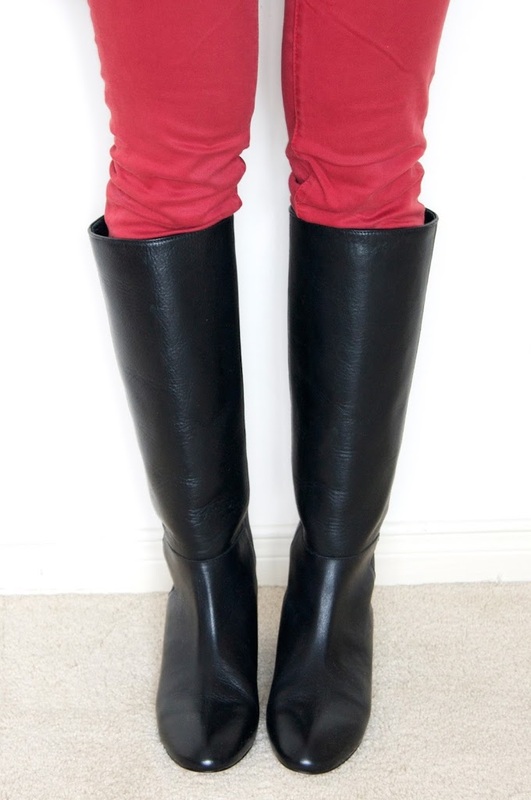 I’ve had my eye on these Loeffler Randall Matilde boots for years now. Only once have I found them in-store at a Barney’s Co-op when I lived in Boston back in 2008-9, and I quickly pulled them on to see how they looked. I remember being surprised at how well they fit, but the experience happened so quickly that later, I began to second guess what I had seen. 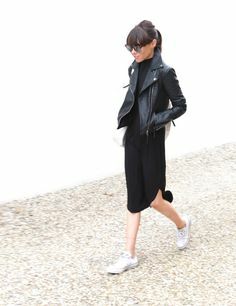 Fast forward a few years and I’ve come to realize that a nice classic, versatile, knee-high black boot was an absolute essential that needed to be filled as soon as (reasonably) possible. As a result, I had been looking much harder at these Loeffler Randall Matilde boots, hoping this was the season I could find them at a great price (and find out that they really fit my narrow calves and it wasn’t my imagination). For months, I was stalking the black classic version on several websites, but they just would not go down in price. But one day, I happened upon them in the Amazon Warehouse. I was a bit concerned, one, because the Amazon Warehouse are all returned items and sometimes you just don’t know what condition your item is in until it arrives on your doorstep (although from past personal experience, Amazon describes items very conservatively). Two, I wasn’t totally sure what size to purchase and returning things are much more of a hassle now that I have to wait for my cross-border courier (AKA: dad) to bring them home from the US, and then give him instructions on how to return if necessary, all while hoping it gets all done within the allowable return period. So I took a risk and decided to get a 6.5 which is my usual boot size (I generally take one half size up from my pump size to accomodate thick socks). And in the end it all worked out! The boots arrived in PERFECT condition and they fit! They’re absolute beauties. Look and quality: So pretty! The leather is smooth and soft, but still has enough structure to stand on it’s own without inserts. The boots are still brand-spanking new, but after some breaking in they will begin to slouch a bit at the ankle. If that bothers you then these may not be the boots for you. Also note that these don’t have a zipper and the sole is leather so they will need to be zip-soled if you want them to last a long time. They have an almond-shaped toe making them super-sleek looking. 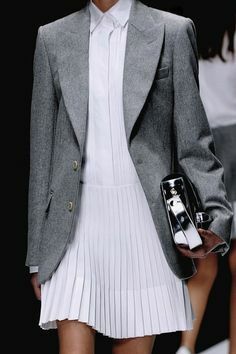 I love that they don’t look like your typical riding boot with the thick rubber sole so they can easily be worn at the office without making a conservative outfit more dressed-down. Comfort: Very comfortable! No rubbing in the inside of the boot around my ankles (my trouble area) and no pressure points probably because they are almost flat (wedge heel is about one inch high). I sometimes put in a winter insole into my boots to help with warmth and comfort, but I don’t feel like I need to do that with these boots. Fit: I would say the toe box fits on the narrow side (I have narrow-ish feet). 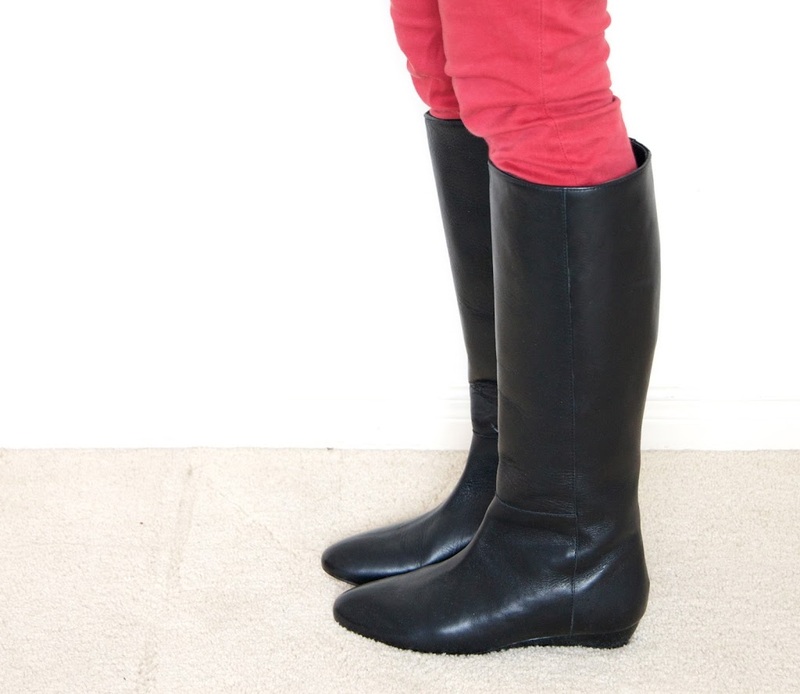 If you have wider feet, you may want to consider going up a half size from your regular boot size. As I mentioned before, I went with my normal boot size 6.5 to accommodate my thick winter socks, but if you don’t normally do this, your regular shoe size will probably be fine. The shaft height is 15″ from the bottom of the heel (not including the wedge). I measured the circumference around the top of the boot to be 14.5″, but again, my calves are only 12″ wide and there doesn’t appear to be much gap between the boot and the leg at all. 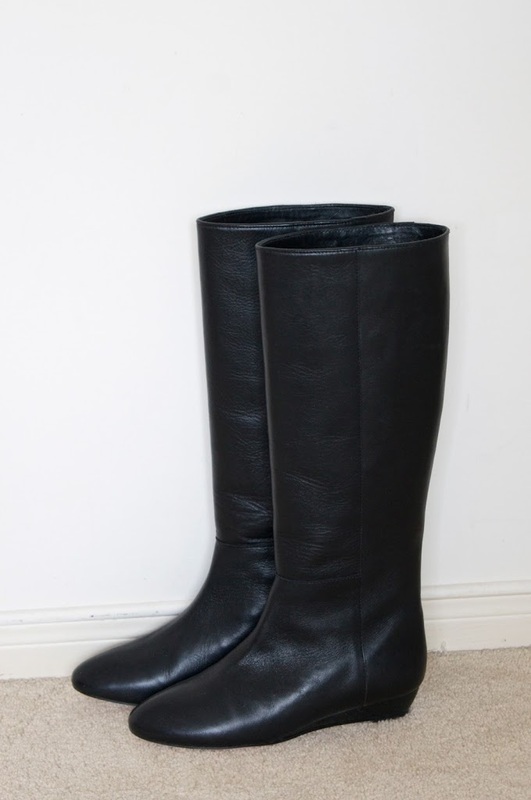 In fact, if you google photos of the boot, you will that on many celebrities there is always a little bit of gap so I think it’s really just the way the boot is designed, especially since there is no zipper. Also, because it is a pull-on boot, if you have a very high arch, you may have difficulty getting in and out of it so it is definitely something that needs to be considered. Price: As I mentioned, $695 full price, but before I saw them on Amazon Warehouse, the lowest price I had seen for the classic style and colors after years of hunting them was $350, with limited sizing (of course). Verdict: Keep!!!! Check them out yourself at Zappos or on Amazon. Great boots and nice score on the Amazon Warehouse deal! 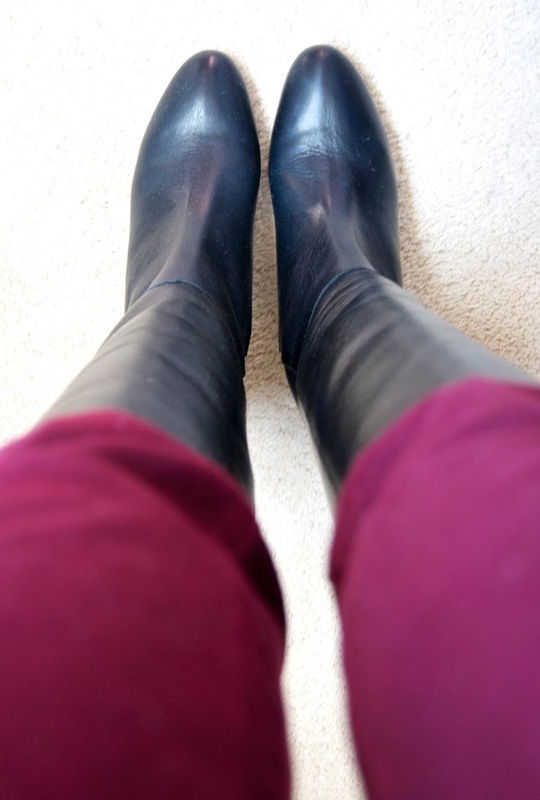 I’m on my second pair of vintage Etienne Aigner riding boots that have a similar toe shape to the Loeffler Randalls you bought, and have found them so versatile, not to mention comfortable! Wonderful boots! Love how sleek they are and also bet they are buttery soft! Every girl has their boot woes. 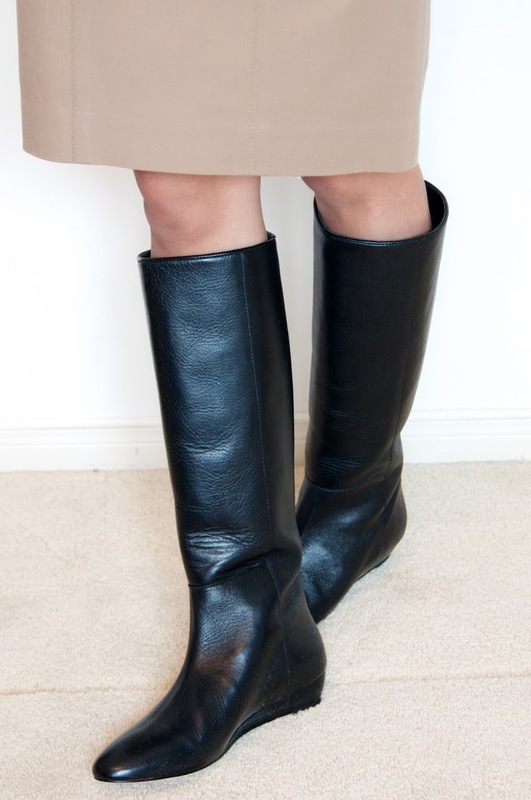 I’m on the other end of the spectrum and have wide calves and most wide-calf boots are ugly. I recently found a pair at Macys that I love though! But I can hardly squeeze jeans into them (not that I wear skinny jeans that often) but with tights, just right, and no gap. Wide feet are difficult to particularly fit, The main trouble is to find Wide calf boots that fits right and avoids pressure on the toes, even when going downhill. I’ve never tried Loeffler Randall boots, I’m always concerned about the insole. How cushioned/padded is the insole? Does it have shock absorption properties? I’m just wondering if their high price is justified in their comfort.